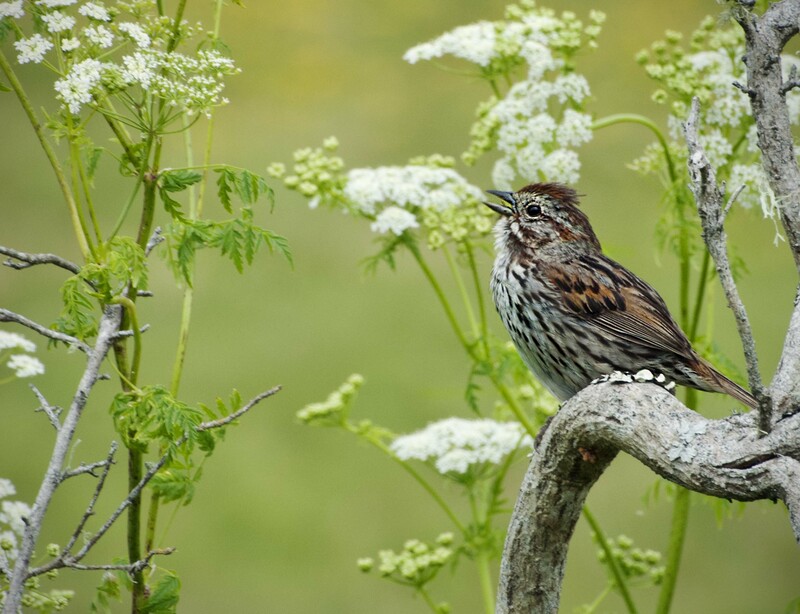 Listening to a a song Sparrow singing the praises of Spring is a fine way to spend a weekend morning. That’s a beautiful photo! Hope all is well! That’s a very pretty picture; like a painting. Love this photo! So much that when you posted it previously I wanted to paint it (which you graciously agreed to). Here’s a link to that painting and the poem that goes with it! That’s a beautiful photo! With the bright green background the sparrow really pops in this photo. Oh I love this That’s a very pretty picture; like a painting. Thanks and thanks of rate feedback and taking the time to leave it. Wishing you a wonderful weekend. HI and thanks for cluing me in on your site. I am just getting ready to go swim laps this morning so your article about peeing in the pool hits a home run for me. Hope you have a great day and I look forward to taking more time to check out your site further. Your welcome, helping others to understand and enjoy science is a noble task and one worth pursuing. Keep it up. That’s a beautiful photo! Because of people like you i have will to keep doing this! Thanks and keep up the fine work as it is appreciated. It is like a painting and in fact reader of our blog did in fact make a painting of this photo.